Did I ever tell you that I’m a person who loves looking at gardens instead of burrowing in them? I grew vegetables again this year but my neighbor is the real cultivator. With all the rain, we have an over-abundance of crops and my neighbor is busy canning. Me? I am busy watching her…and having a glass of wine. That was my job this year and I have to admit that I really liked it. I admire people who are dedicated to making their garden beautiful and any time I need a flower fix, I wander next door and admire the views. One of the best gardens I’ve had was when I lived in Hawaii. 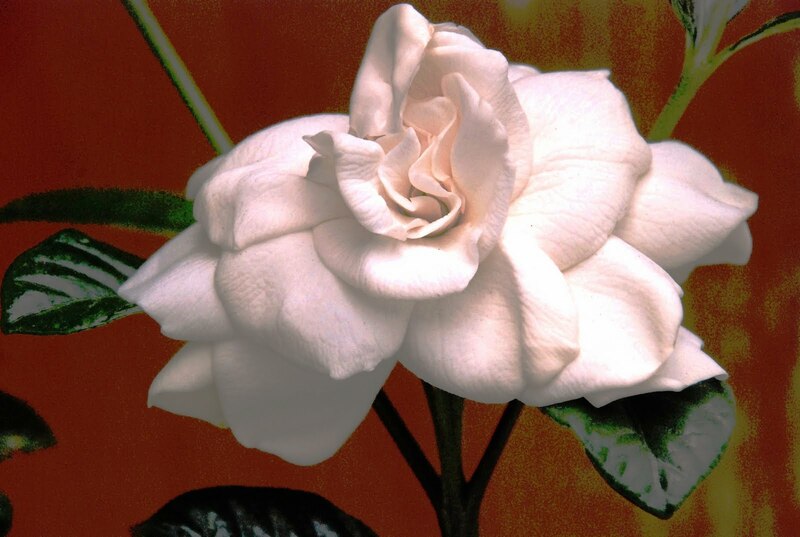 I had Gardenia bushes winding around my back door, Pikake leis hanging on my doorknobs, the fragrant smell of white ginger growing wild in my garden and so many native flowers I quit counting the species. Now, I just love those Perennials that come up year after year. Call it my NO maintenance garden. Bon Appetit and love the lingering days of summer flowers and vegetables! With all of the vegetables that I have each week, I made this Italian summer vegetable soup and it is so delicious it’s my new favorite soup. The pancetta and the Pistou creates the great flavors of this dish. In fact, there is so much texture going on in the soup, you don’t even need bread. Make the pistou: Process basil, parmesan, oil, salt, garlic, and tomato in a food processor until finely ground. Season with salt and pepper, and set aside. Heat oil in a 6-qt. saucepan over medium-high heat; add pancetta and cook, stirring often, until fat has rendered, about 2 minutes. Add garlic, carrots, celery, and onions, reduce heat to medium; cook, covered and stirring occasionally, until crisp-tender, 12–15 minutes. Add zucchini and cabbage; cook, covered, until wilted, 3–5 minutes. Add stock and tomatoes, and bring to a boil. Add pasta and cook until al dente, about 8 minutes. 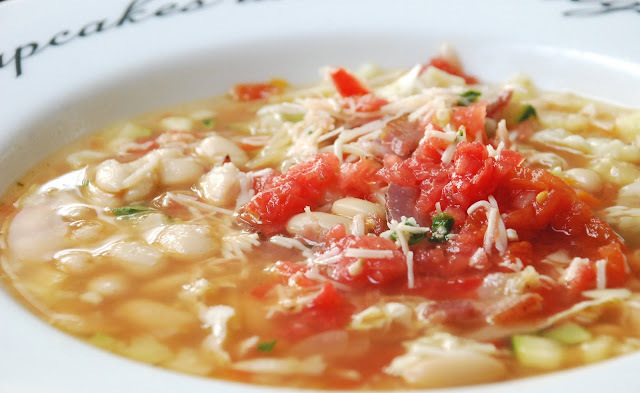 Mash half the beans with a fork; add to soup along with whole beans—cook until warmed through. Season with salt and pepper. Ladle soup into bowls; serve with pistou dolloped on top.